Capture, organize, share, collaborate and distribute your documents with docEdge, an all-in-one DMS software for the business of all sizes and verticals. Manage complete document lifecycle Capture-Organise-Share with docEdge, an enterprise grade digitalisation platform. Integration-ready with all legacy and modern systems. A flexible and state-of-the-art process automation Platform built over cutting-edge technology framework for CXOs to adapt ever-changing business scenario in technology stack. 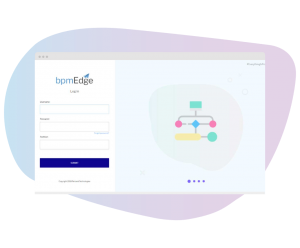 bpmEdge is an intelligent platform for business process improvements and it is a next-generation software that helps the stake holders by removing repetitive, replicated, and routine tasks. And, it dramatically improves customer experience by simplifying participation and speeding up entire process lifecycle.